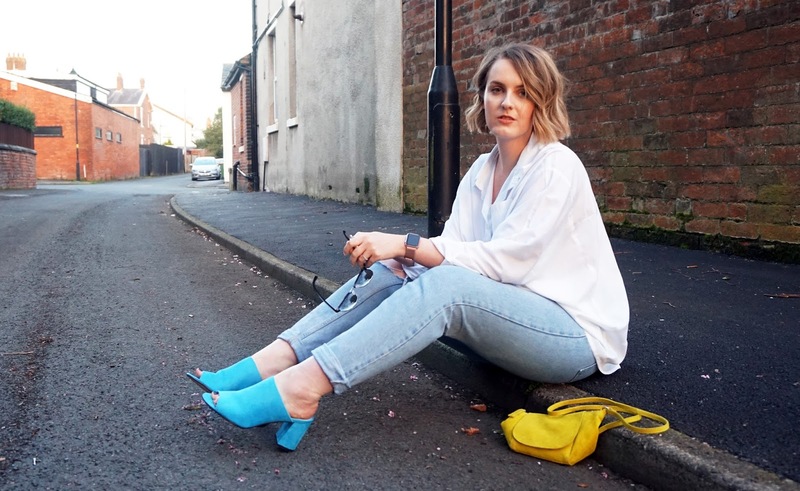 I’ve been waiting for the time to start wearing these ASOS mules, and I’m so glad I’m able to wear them before our holiday! They’ve been sat in their box since I got them a few weeks back, patiently waiting for their time to shine. They’re a lot brighter than what I would usually go for, but I just couldn’t resist! They were on my saved items list for what seemed like forever until I finally got round to ordering them, and I’m oh so glad I did. 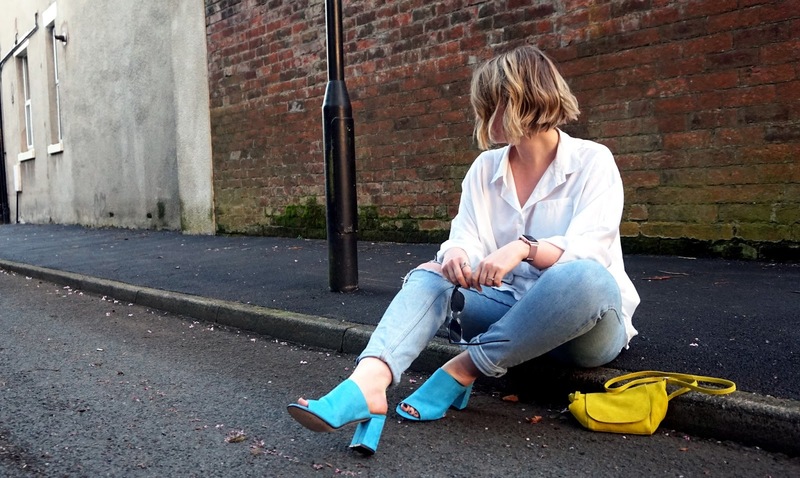 I love everything about them – the colour, the shape, the height and how comfy they are. Wardrobe staple right there! 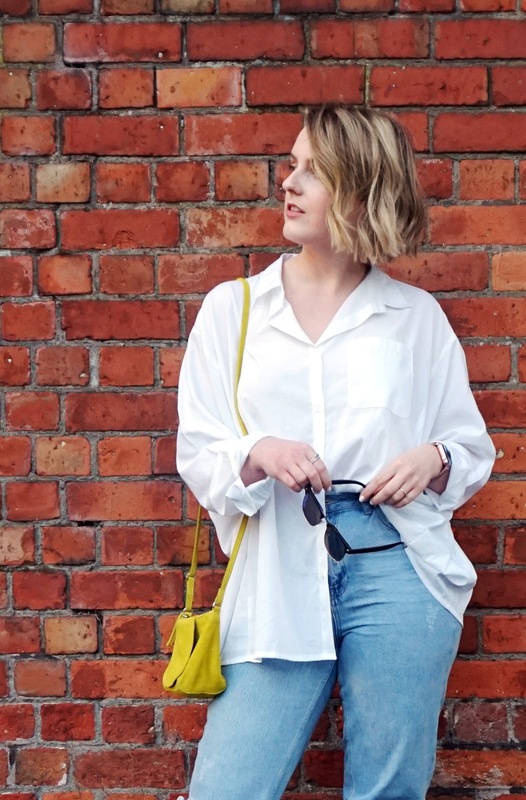 The shirt is another ASOS purchase (I’ve just realised this outfit is very ASOS heavy, soz. Not spon!) that I’ve been loving! I’ve worn this on a night out, for work, for play, for pretty much every occasion and don’t plan on stopping any time soon. 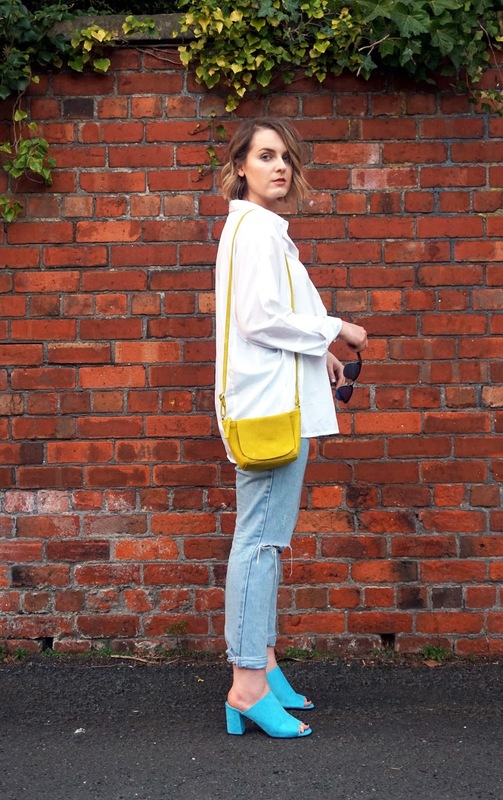 Paired with the bright yellow ASOS (told you) bag and vintage washed denim, it really stands out. 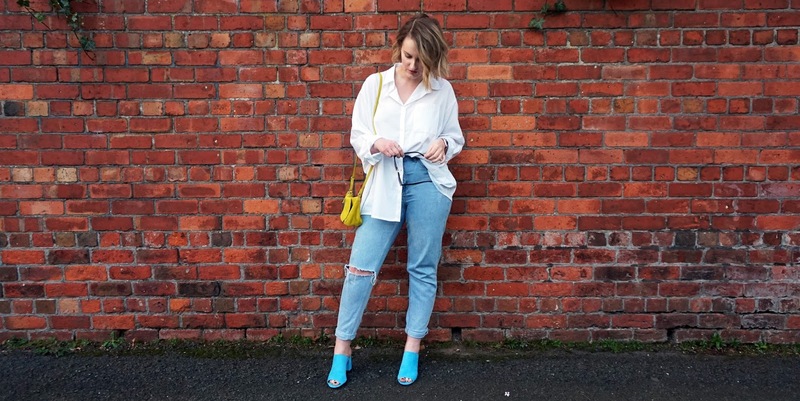 I love the oversized shape, which makes it perfect when worn either tucked in or out, or both as demonstrated by yours truly. I’ve been after a versatile white shirt for a while now, and I think this one has filled that hole in my wardrobe nicely! 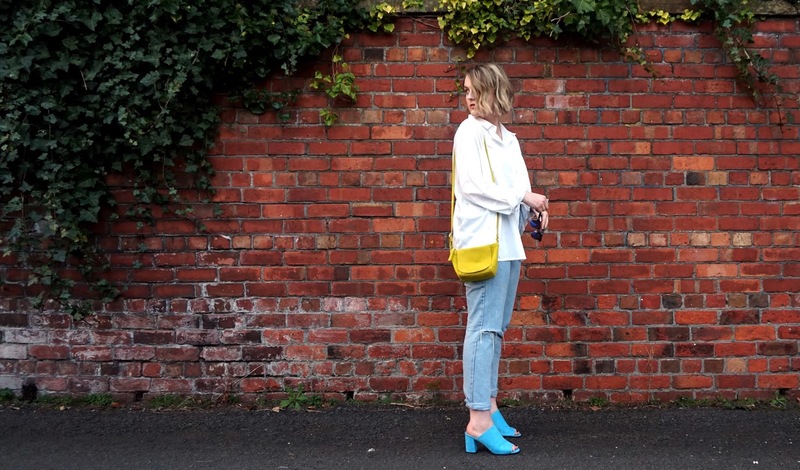 The jeans are oldies but goodies and a pair that I will no doubt live in through the next few months. 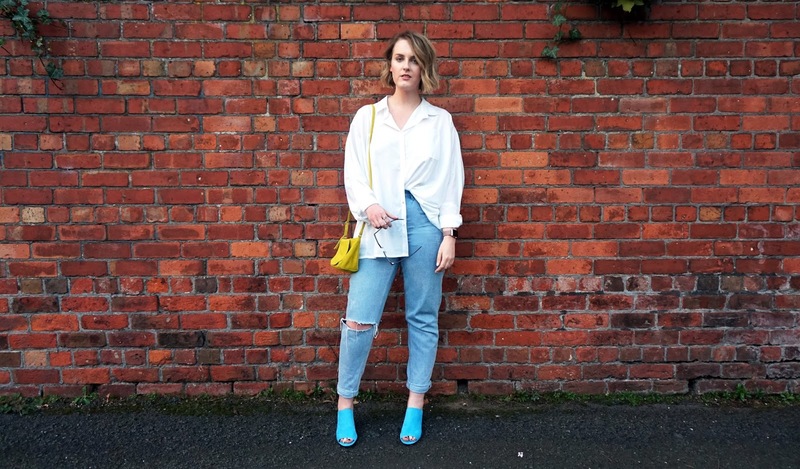 They’re the Topshop Mom jeans and they go with practically everything! Plus they are great at hiding a multitude of sins, and look just as good with a sweatshirt and trainers as they do dressed up with heels and a silky cami – winner. Hope you’ve all had a lovely couple of days in the sunshine! Crossing my fingers that it sticks around a little longer than usual! Ah those shoes are to die for! Need them in my life! Omg I'm in love with this whole outfit. 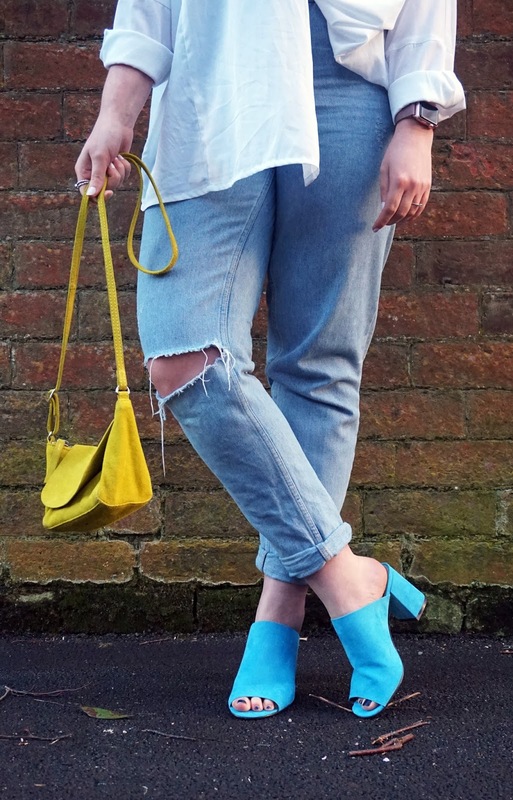 I was in awe over the shoe colour, then I admired the top before obsessing over the jeans and decided I CAN'T decide which piece I like the most hahaha. Colour suits you well!